And the consort of a queen. 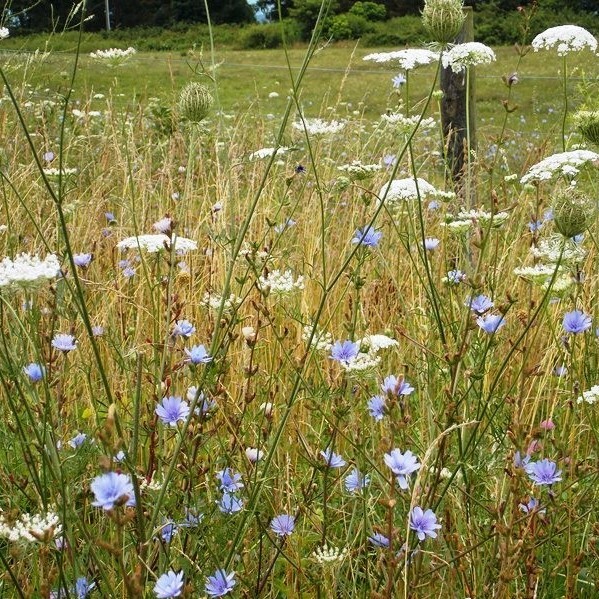 We can hardly think of a summer day without conjuring up an image of the soft blue of wild chicory blossoms scattered in a still field under an endless sky. Often seen in the company of Queen Anne's Lace, chicory marks the peak of high summer. We celebrate this moment with the launch of our Classic Silhouette in Wildflower Blue. Brought to you from Sky Meadows State Park, Fauquier County, Viriginia. For more information visit the Shop. Posted on July 22, 2018 by anikka becker. To download 18 Great Places to Take a Picnic click here.